The Pic-a-daily Project: 2 years today! Happy Anniversary you guys!! Benny + Sherin turns two today. They're a fun lot. Here's to many many more awesome years to come. 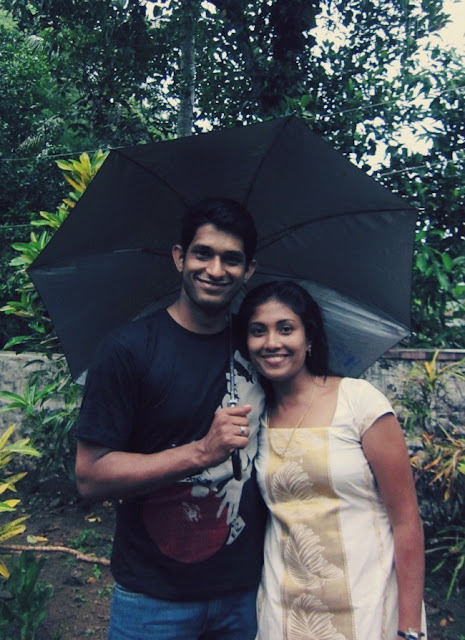 Big smiles in the rain, at our uncle's place in Chenganoor, Kerala.